Good fresh air and sunshine are so good for us, but sunscreen for babies is essential while your baby's skin is still new and delicate. 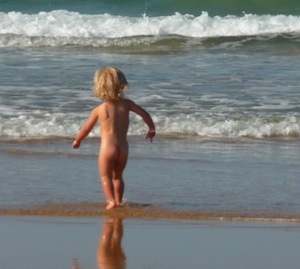 Protecting them from too much sun with a healthy, non-toxic natural sunscreen and suitable protective clothing is vital. Of all the really happy memories I have of my children when still considered babies, the ones that really stand out are those spent outdoors, especially those lazy days at the beach or by the pool. Most dermatologists and pediatricians will recommend only using a sunscreen on your child after they are six months or older. Once able to crawl and play outside mucking about in the garden or sandpit, or if they are lucky, some glorious mud, make sure to look after their delicate skin with a sun hat and sunscreen made especially for babies. It is preferable to keep them completely out of the sun in the shade when the sun is at its hottest between 11am and 3pm. Remember also that exposure to the sun's UV rays is intensified near water at swimming pools or at the beach where light is reflected off water and sand. "It only takes one severe sunburn to potentially double your child's chances of getting melanoma later in life," says Andrea Cambio, MD, FAAD, a board-certified pediatric dermatologist in Cape Coral, Florida, USA. "We really need to buckle down and protect our young." 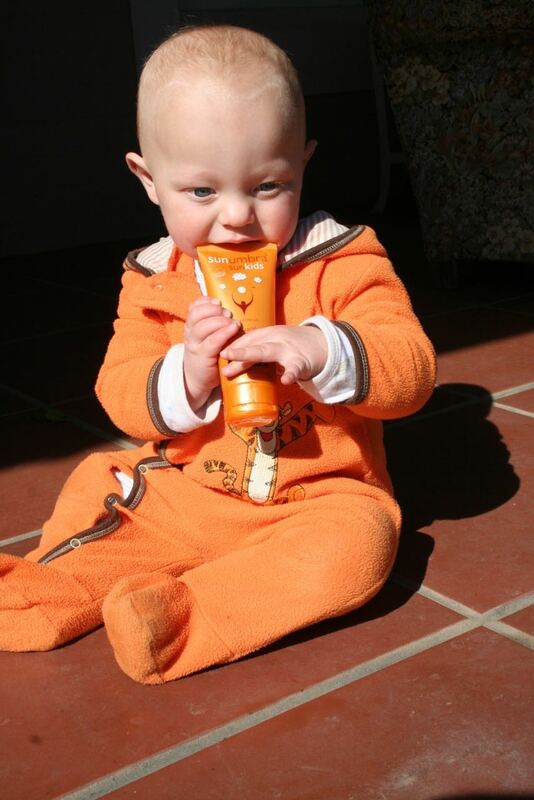 Sunscreen for babies: how to choose? There are many sunscreens specially formulated for babies and children and choosing one that is best for your child is not an easy task. Pediatrician Jerome A. Paulson, MD, FAAP, medical director for national and global affairs at the Child Health Advocacy Institute of Children's National Medical Center in Washington, D.C., was asked this very same question by WebMD. Choose a sunscreen that contains zinc oxide or titanium dioxide, because the compounds are less irritating than others and do not get absorbed into the skin. "These ingredients are probably the safest ones out there right now," Paulson says. 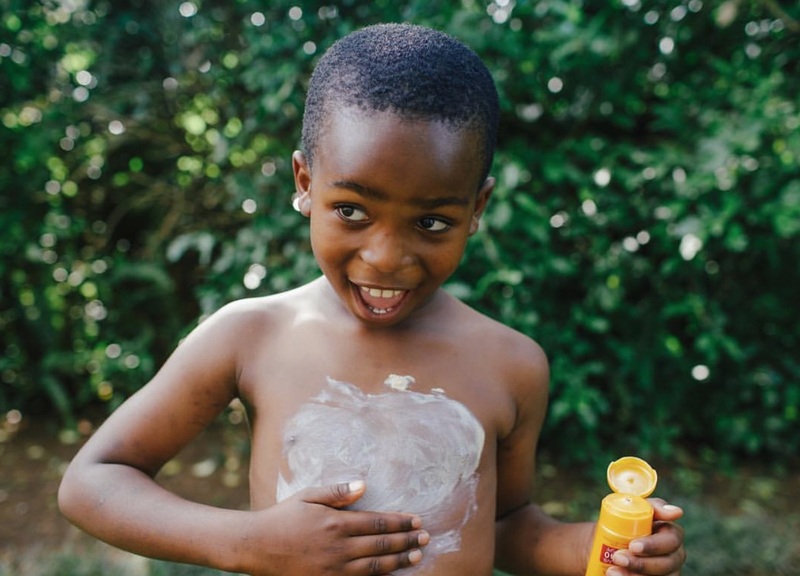 This opinion concurs with many other pediatricians and dermatologists, as well as the EWG (Environmental Working Group) who have done considerable research into the health of the ingredients used in sunscreens. Try to inspect the ingredients of the sunscreen to be used on babies, to make sure they are really different to the same brand's sunscreen for adults. Often this is just a 'label job' and the sunscreen will contain other toxic ingredients, even if they are zinc oxide based.